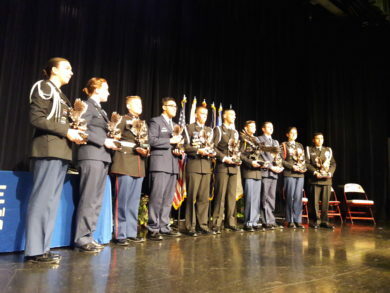 The “Cadet of the Year” program at Freedom High School Tampa, FL. held Thursday, March 29 at 4 pm. 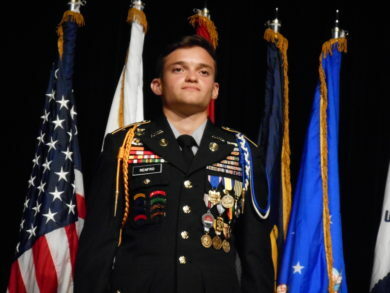 Of 10 top cadet candidates, JROTC ARMY Cadet MAJ Dylan Renfro was selected as Cadet of the Year 2018. 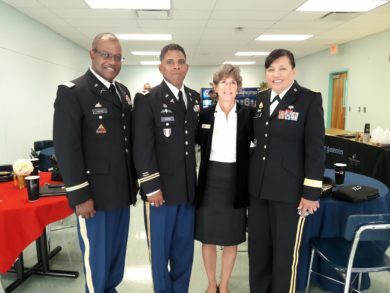 AUSA Suncoast Chapter made a monetary presentation.